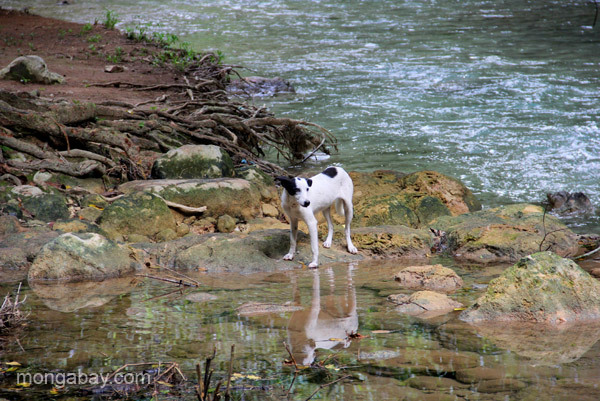 A stray dog by the river near the village of Mencia in the Pedernales Province of the Dominican Republic. This picture, titled "A stray dog by the river near the village of Mencia in the Pedernales Province of the Dominican Republic. ", was taken in Dominican-Republic by Jeremy Hance.